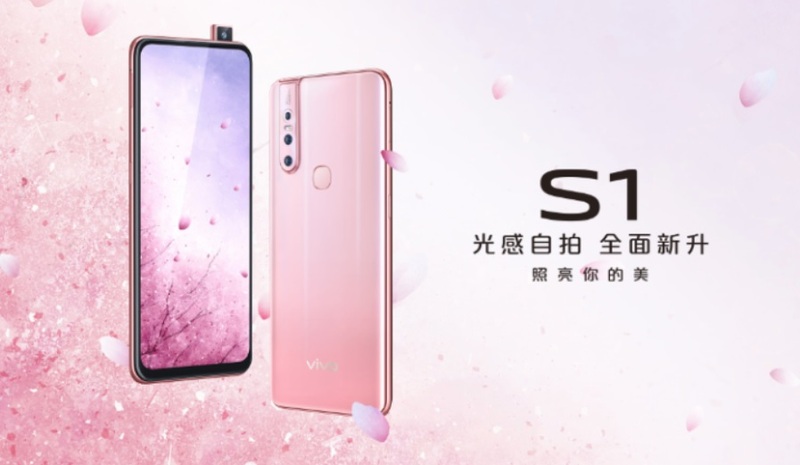 Vivo in China has now launched its new Vivo S1 smartphone. The Vivo S1 isn’t a new device but a slightly different version made for only China. The Vivo S1 is also most identical to recently launched Vivo V15. The only big difference you would find is in the front camera configurations. The Vivo V15 features a 32-megapixel front shooter while the newly launched Vivo S1 features a 24.8-megapixel selfie camera. Both smartphones also feature pop-up front camera module. The Vivo S1 comes with notch-less 6.53-inch IPS LCD display with full HD+ resolution of 1080 x 2340 pixels. The S1 feature a screen-to-body ratio of 90.95 percent and an aspect ratio of 19.5:9. The Vivo S1 is powered by a MediaTek Helio P70 chipset coupled with6 GB of RAM. The S1 comes with inbuilt storage of 128 GB with expandable storage support via a microSD card slot. On the software side, the Vivo S1 runs on FunTouch OS 9 based Android 9 Pie out of the box. The phone also comes with Jovi voice assistant with a dedicated AI button for that. The phone packs a 3,940mAh battery and it also supports 18W fast charging on the device. In the camera department, the Vivo S1 features a triple rear camera setup with main 12-megapixel main sensor, an 8-megapixel wide-angle lens, and a 5-megapixel depth sensor. On the front, the device features a 24.8-megapixel pop-up selfie camera. Vivo S1 also includes an in-display fingerprint sensor and also features 4G VoLTE, dual-SIM support, Wi-Fi 802.11ac, Bluetooth, microUSB 2.0, GPS and 3.5mm audio jack. The Vivo S1 will be available in China starting on April 1 in two different color options, Ice Lake Blue and Pink. The device will be available priced at 2,298 Yuan (~$342).